Geek Mountain State Presents: Vermont Tales of Science! 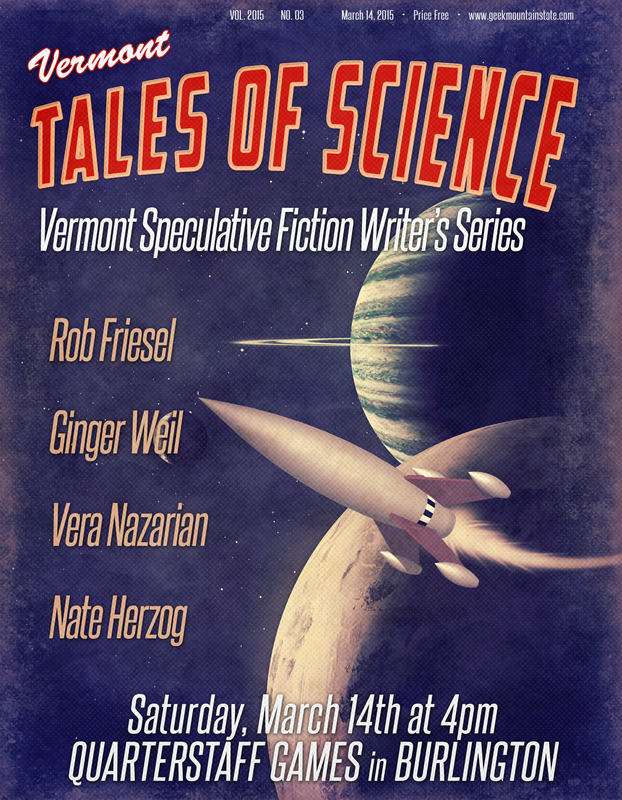 Geek Mountain State is pleased to announce the next installment of the Vermont SF Writer’s Series: Vermont Tales of Science!, which will take place on Saturday, March 14th, at Quarterstaff Games in Burlington at 4:00pm. Authors included in this event are Rob Frisel, Nate Herzog, Vera Nazarian and Ginger Weil. 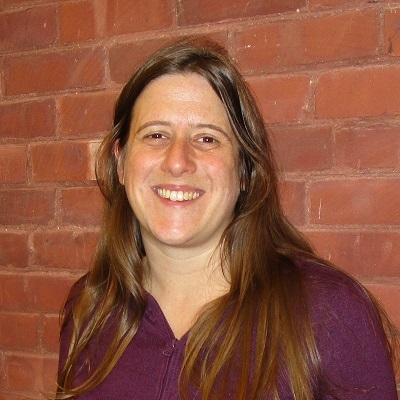 This event follows a very successful year in which hundreds of listeners listened to dozens of Vermont storytellers in places such as The Center for Cartoon Studies, Phoenix Books, The Fletcher Free Library and the headquarters for the Burlington Writer’s Workshop. Rob Friesel is a software engineer by day and a science fiction author by night. He was raised on William Gibson and Margaret Atwood before getting seduced by the footnotes under David Foster Wallace’s bandana. His writing tends to involve lost artifacts and tiny subversions. His most recent publication is “Where the Air is Sweet and the Clouds are a Different Shape” which appears in the collection Please Do Not Remove. 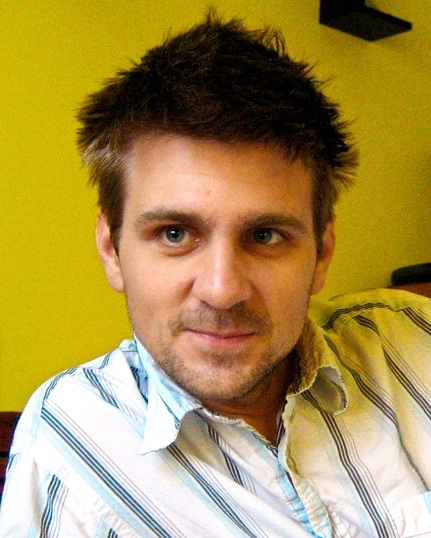 Nate Herzog enjoys writing and reading speculative fiction of the near future. An IT professional, his writing usually involves how technology impacts society. Currently he’s working with his writing partner Annalisa Parent on the serialized story project “No.2 Inc,” a collection of stories about an talent agency that outsources sidekick services to superheroes, more info at http://no2inc.co. He is the creator of the StoryHackVT digital media contest. 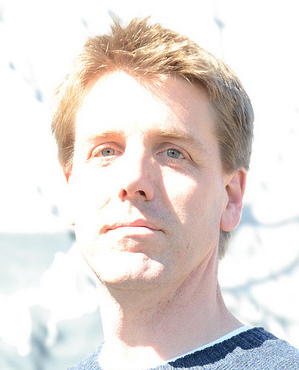 His writing has been published in a variety of magazines including Minnesota Monthly and NEAT. You can follow him on Twitter at @n8zog or on Tumblr at http://whatsnatewriting.com. Ginger Weil grew up in Vermont at the edge of the woods. She spends her spare time in libraries, can usually be tempted by caffeine, and often commits experimental baking. 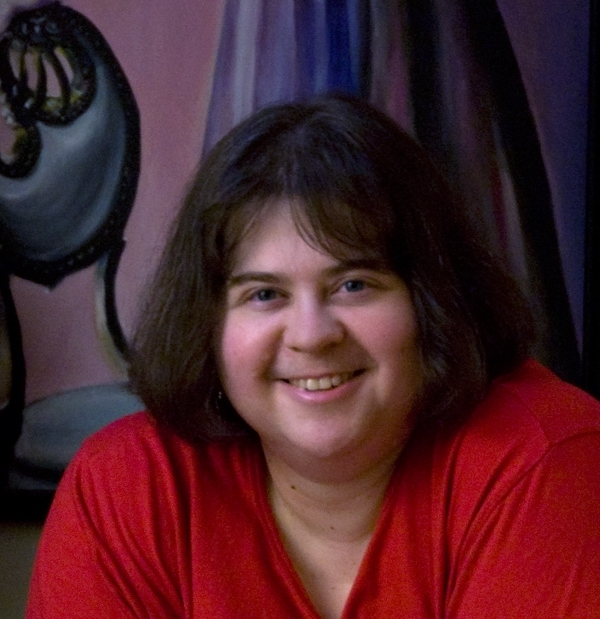 Her fiction has appeared in Apex Magazine and is forthcoming from GigaNotoSaurus. She is on twitter as @gingerweil.